I’m always looking for easy ways to save money. Combine that with my love for technology, and these are exciting times. In this post, I’m going to run you through some of the best personal finance technology (or fintech) for boosting your savings. A lot of these applications will ask you for your account information so they can connect your data to their app. These connections are safe since they are read only, and the app creators don’t get your full account number info. Because they are read only, the apps generally won’t be able to make changes to your account. There may be few minor exceptions, but you will always need to approve that functionality. These are all apps that you can use on top of the apps provided by your bank or other financial institution. If you haven’t tried those yet, download them today and take them for a test drive. Institutional apps are getting better and better as a direct result of the pressure being put on them by the app makers below. Mint has been around for a while now and is the app I use daily to save money. When you install the app, it will gather all the account and login info from the institutions you do business with. Bank accounts, credit cards, investing, mortgage, and bills are all there. Pretty much every US institution is link able. You can pay all your utilities, rent, and most other bills through Mint and it will remind you when they’re due. Paying bills on time is one of the best things you can do to fix a bad credit score. It will also save you from paying unnecessary late fees. Mint will also send you alerts for suspicious behavior on your accounts, tell your how much you’re paying in fees, and warn you when balances are getting low. Who couldn’t use this kind of help? Need help with budgeting? Mint categorizes all your spending so you can get a detailed breakdown of where your money goes every month. You can then take that information over a full year to make the picture even more accurate. It also shows you how cutting back on certain expenses will impact your balance at the end of the month to provide a little inspiration. One of the most important indicators of your financial health is your credit score. When you sign up with Mint, you automatically get a free copy of your credit report summary. Mint will then work with your to identify ways to improve it if needed. For a small fee, Mint will even alert you whenever Equifax get new information from one of your creditors. If you have a 401k, IRA, mutual funds, or a brokerage account, Mint will tell you your balances. It will also give you a comparison of your returns to market benchmarks and identify opportunities to save on fees. If you haven’t tried one of these tools yet, Mint is the Swiss Army knife that will meet almost all of your needs. Qapital is a really handy and highly customizable little app if your goal is simply to save money. It links to pretty much any bank account, and then automates saving money based on your day-to-day activities. Start by coming up with some goals like taking a big vacation, or buying a car. Next, you setup rules that trigger automatic saving to one of your accounts. For example, every time you buy a Starbucks, Qapital transfers a set amount into your savings helping you reach your goal sooner. Find you spend too much at Starbucks? Qapital can put a limit on your monthly Starbuck spend, then warn you as you approach it. If you come in under your limit in a month, Qapital will transfer the difference to your savings. Want to save on each transaction you make? 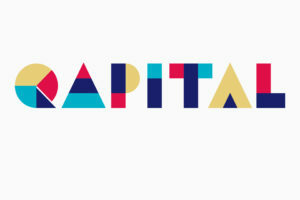 Every time you make a purchase, Qapital lets you round-up your change and puts that money in your savings. This can add up to a lot of money over time, but you’ll hardly notice it. If you use a lot of other apps on your phone, or you’re a social media junky, Qapital can leverage IFTTT technology and link nearly any activity to your goals. Examples include, saving money when you hit your FitBit goal or when it snows! The possibilities are endless. I really love this one. It takes the idea of rounding your purchases up and saving the difference, but kicks it up a notch to really help save money buy building a portfolio. Instead of just transferring the money into a savings account, it actually invests the money in a portfolio of Exchange Traded Funds (ETFs). Not familiar with ETFs? ETFs are made up of broad holdings of stocks or bonds. Often, these ETFs replicate an asset class or index like the S&P 500 or Dow Jones Industrial Average. 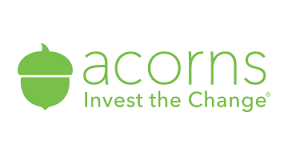 When you sign up, Acorns asks you a bunch of questions about your financial situation and goals. They then take that information and come up with a mix of ETFs that suits you. The portfolios from Vanguard, Pimcoe and BlackRock are designed by Nobel Prize-winning economist, Dr. Harry Markowitz and are continually re-balanced to ensure you stay on track. When your account exceeds $5000, you go from paying $1/month to 0.25%/year. I wrote about the power of compound interest a while back. This is a really easy way to take that knowledge and start building your wealth. There is a lot of great fintech out there that can help you save money. I recommend trying out at least one of the ones I’ve covered here and see how they work for you. They’re free and easy to use so you have no excuse! Please be sure to check back and let me know what you thought.